I'm linking up with the fabulous Bright Ideas group today with some tips for Interactive Notebooks. 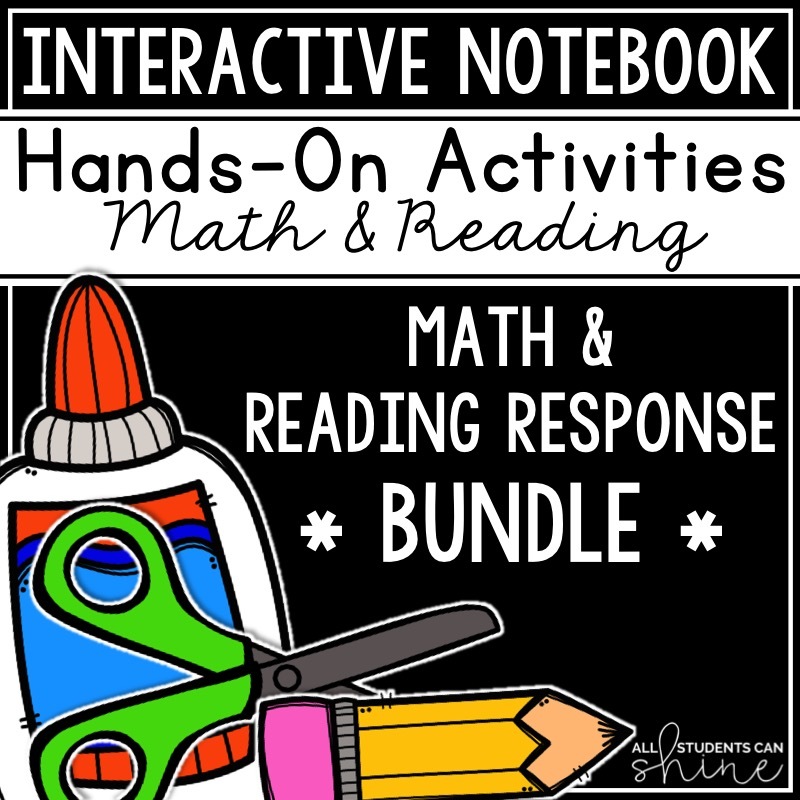 I started using interactive notebooks in my classroom last year and I absolutely LOVED it. However, I wish I could have had a few tips before getting started! I would have avoided a few wrong turns along the way. 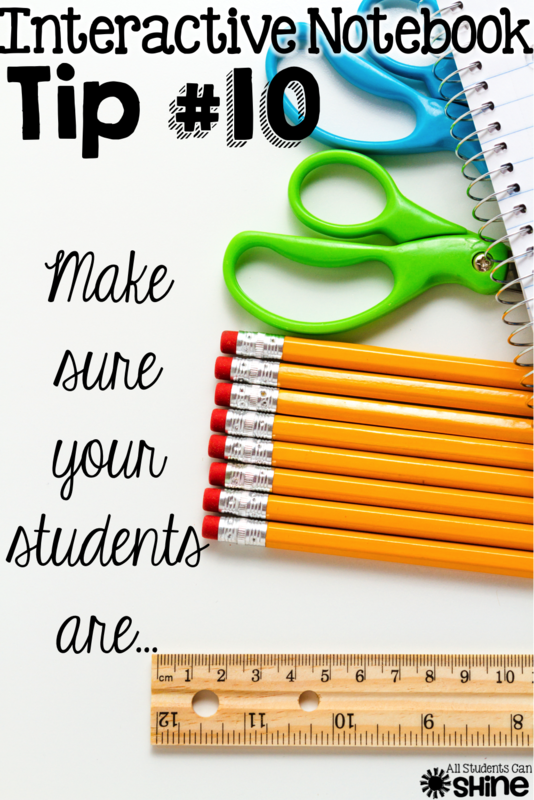 That being said, I will share with you my top 10 tips for implementing notebooks in your classroom. If you haven't given interactive notebooks a try yet, or if you would like to perfect your use of interactive notebooks, this post is for you! Interactive Notebooks (INB) are your students’ “go to” resource, where they can refer back to any concepts that have been taught in class. It’s a more interactive way to take notes! As the year goes on, students add pages to their notebook and refer back to them when studying or when they need to review a concept and/or skill. They are basically building their own textbook as the year progresses. INB are a great tool for teachers too! 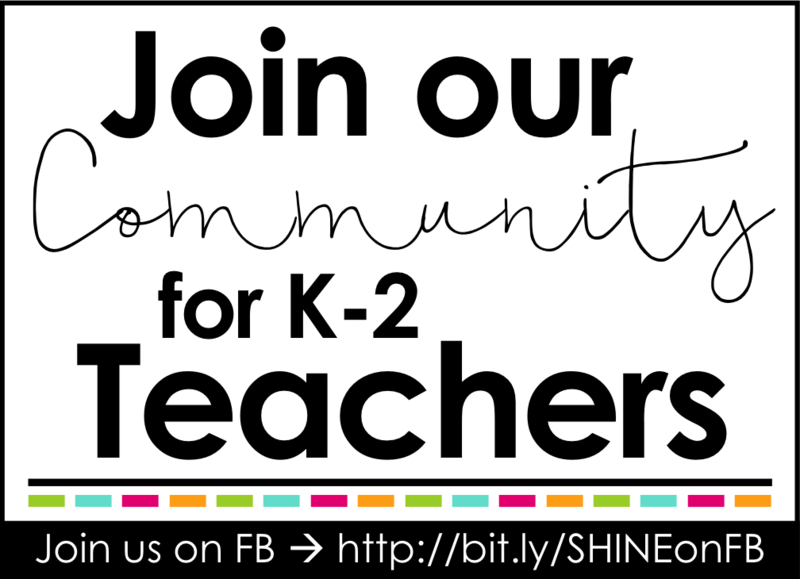 They help us reflect on both our students’ learning styles and our own teaching and planning. They are a great way to analyze our students’ understanding of new concepts. In turn, we can use the knowledge that we gain from the INB to create, plan, and manage our small group instruction. We can also use this information to make accommodations and modifications for all students, not only those on individual learning plans. Observation during the INB process is a great time to take notes on students’ learning, questions that may arise, and skills that they may be struggling with. This helps with further planning and teaching. That really depends on you, your class, and how much time you are willing to put into this. Start small and go from there. 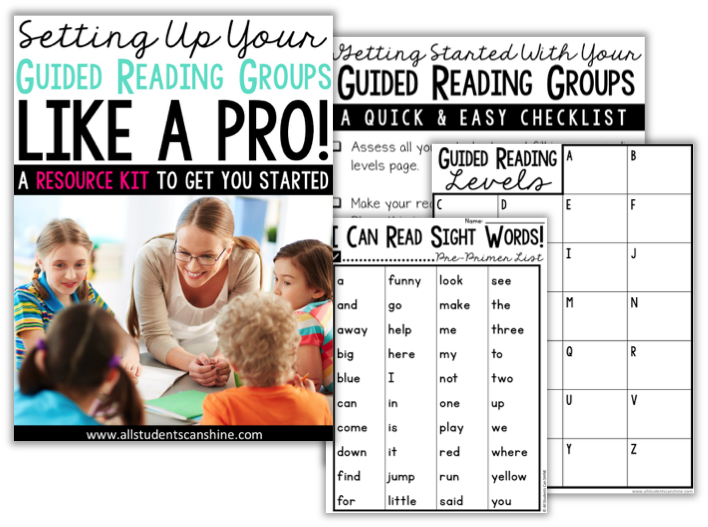 The more you students get familiar with using their notebooks, the easier it will get and the faster they will be with the cutting and gluing. If you spend lots of time teaching them the rules and procedures at the beginning of the year, the better they will be at it down the line. 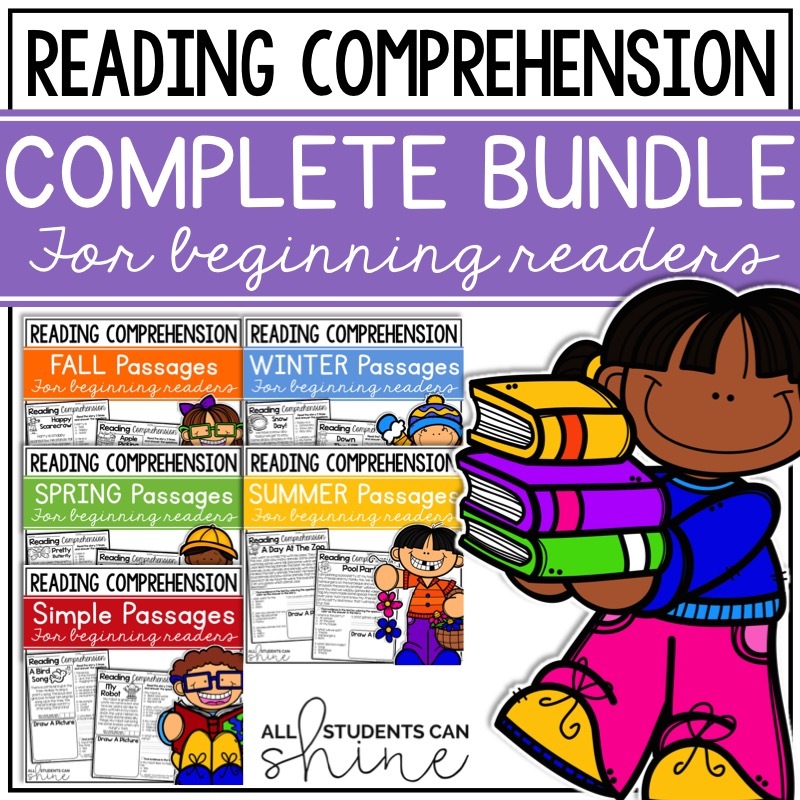 All you need is a simple copy book for each student! 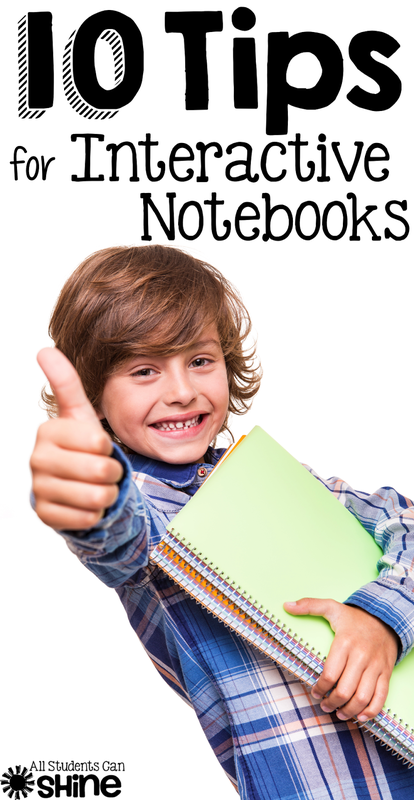 There are plenty of interactive notebooks available online. Just do a quick search on the web, or on Teachers Pay Teachers, and you are sure to find what you need! at the front of each notebook. they can add titles in the table of contents. when the book starts getting pretty full! 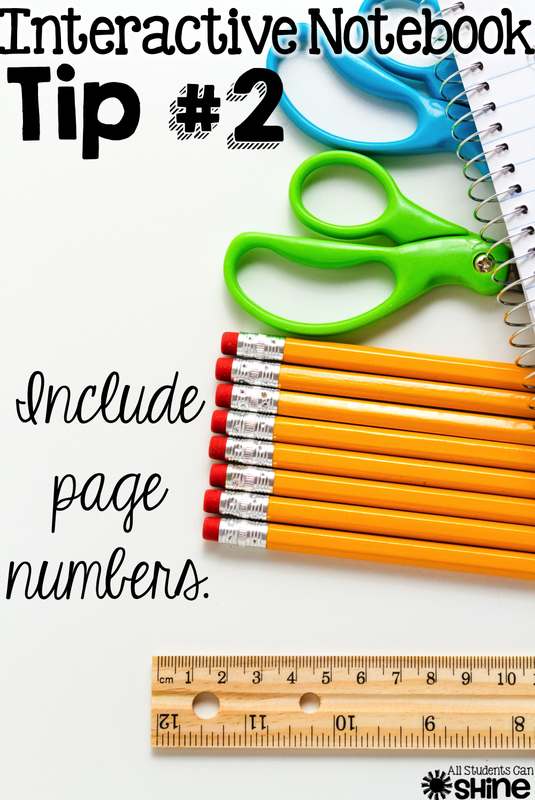 Each time your students add a page to their notebooks, have them write the page number in the bottom corner. 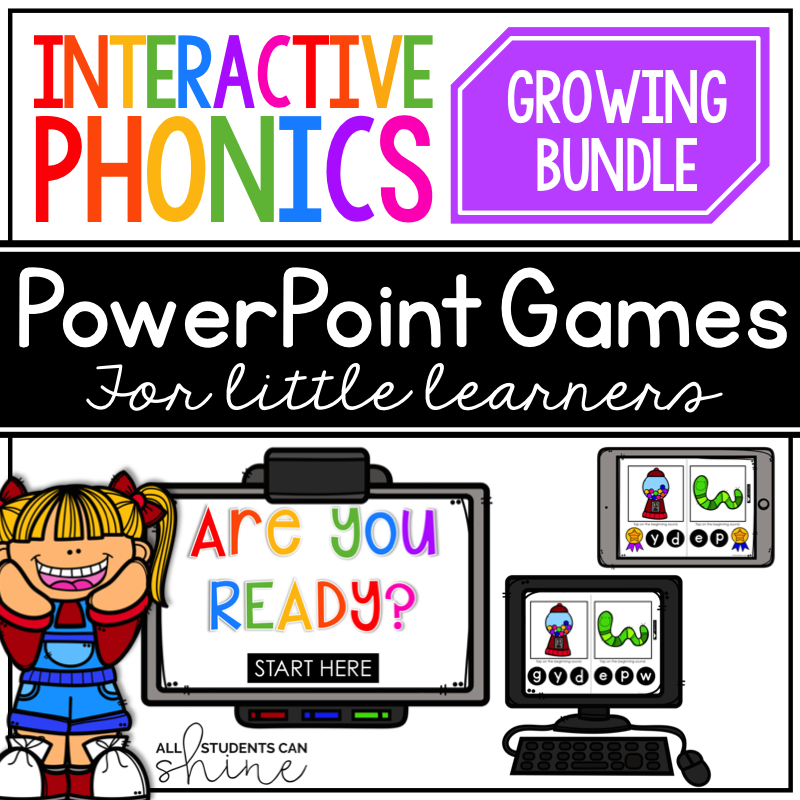 They will be able to write page numbers next to each title in their table of contents, which will be helpful when they are looking for a particular page. 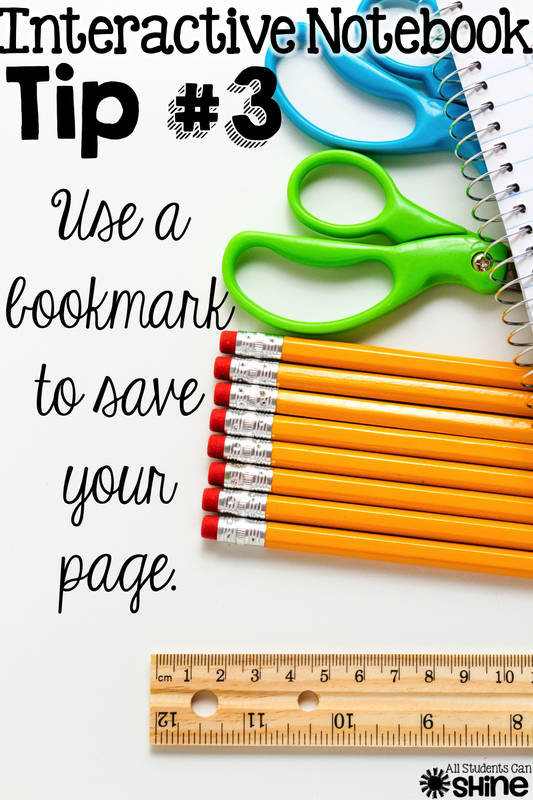 Make easy bookmarks by sticking a piece of yarn or string to the back of the notebook. Students can use this bookmark to avoid looking for pages when they are starting a new project, or when they are reading their notebook. 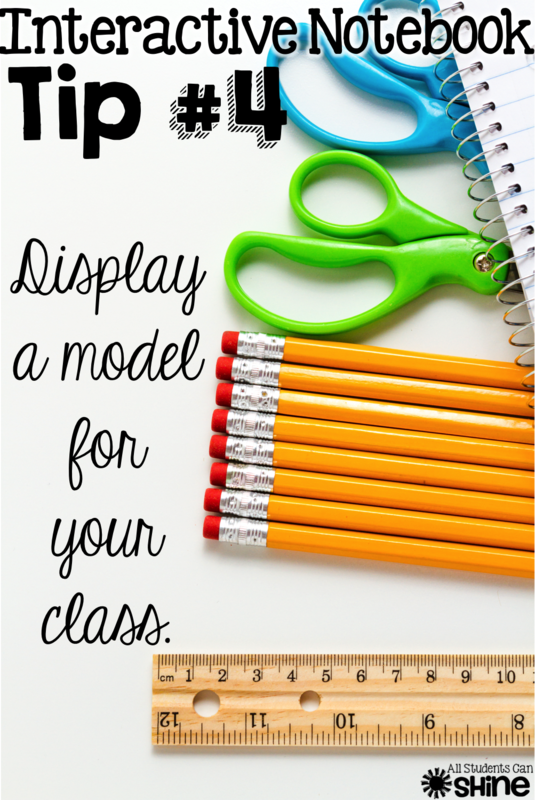 When your students are working on a new project, always display a model for your students to refer to. 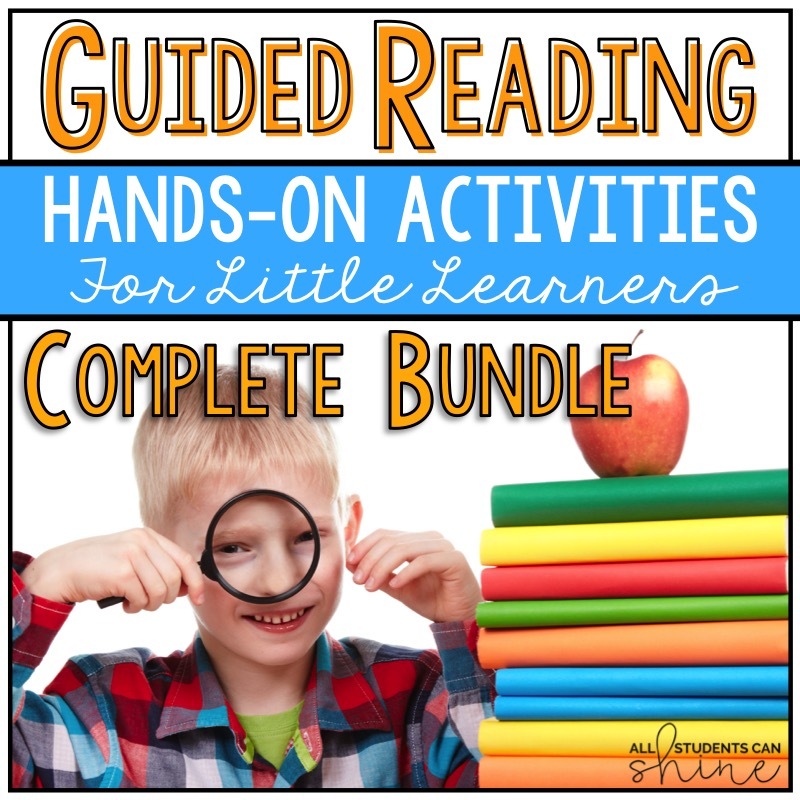 This will avoid many questions and will give you more time to concentrate on helping kids with the skill or concept, rather than the layout of the page. 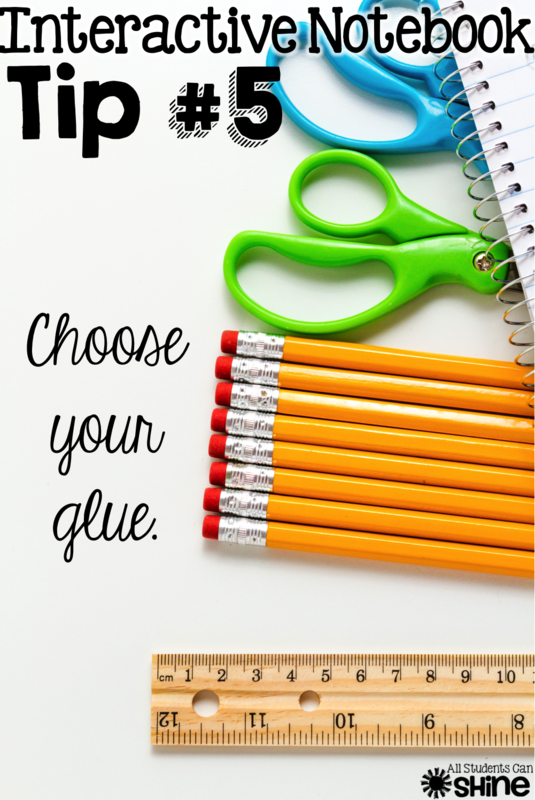 When it comes to glue, it really up to you! Some teacher prefer roll on glue because it isn't as messy as white glue. The best solution I have found is sponge glue. You can find a tutorial on how to make these over at The Kindergarten Smorgasboard. This will help you avoid "trash tears" and disappearing papers! especially if the pieces are a little small. I show them how to trace a line around the flap. and can easily fit their writing inside the lines. they will have a place to store their extra pieces! If you don't want to use your class time for the coloring, no problem! Just send it home. It's nice for our students to have a nicely colored and decorate page, but that is not the point of interactive notebooks. The most important thing is that your students are learning and creating a book that they will use as a reference. Personally, I like to let my students color their page because they become proud of their notebooks when they have worked hard to make it their own. However, if we run out of class time, I either send home the coloring or allow them to grab their notebooks during their free time (ex: early finishers). That's what is most important! as their "go to" resource! 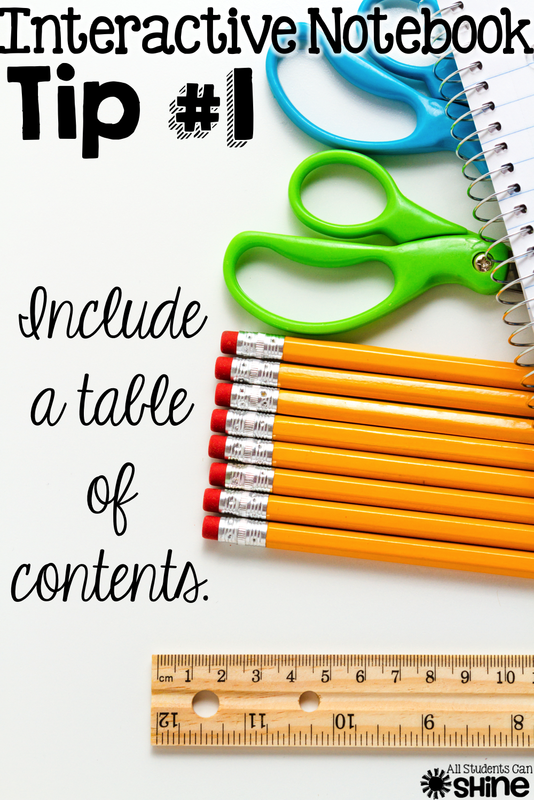 I hope you like my top 10 tips for interactive notebooks! If you haven't tried notebooks in your class yet, I highly recommend it. My students really got a lot out of them last year and I really look forward to using them with my new grade one class this year! 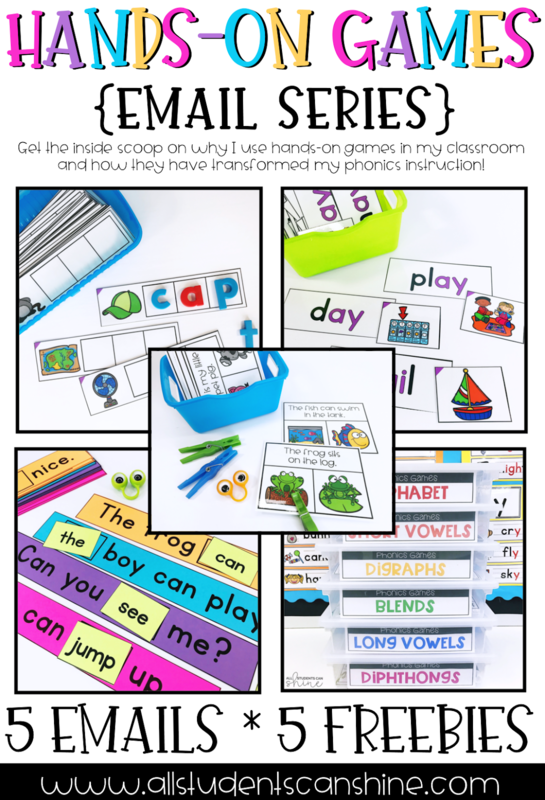 You can find my Interactive Notebooks at my TpT store. 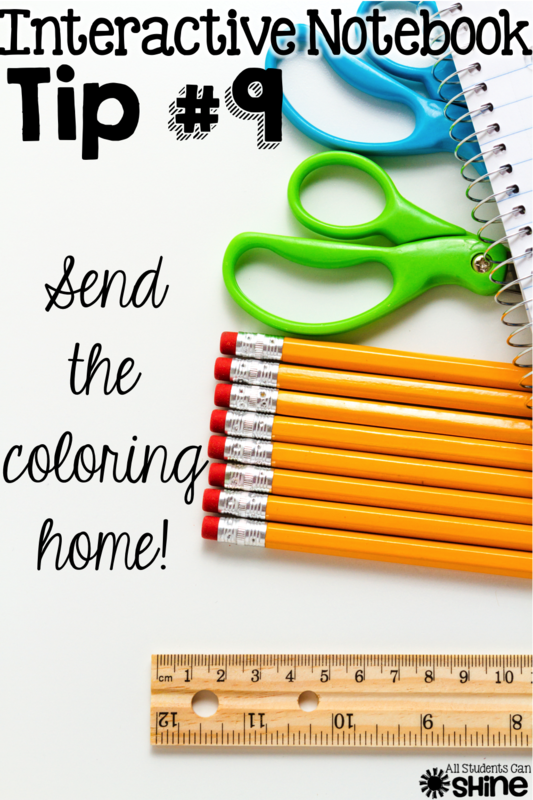 Don't forget to check out all the other AMAZING idea in our Bright Ideas link up! Valerie, I love the tracing tip! I just had that problem this week. Thanks so much for sharing. 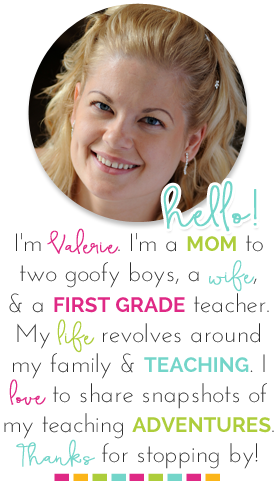 Valerie these tips are so useful! 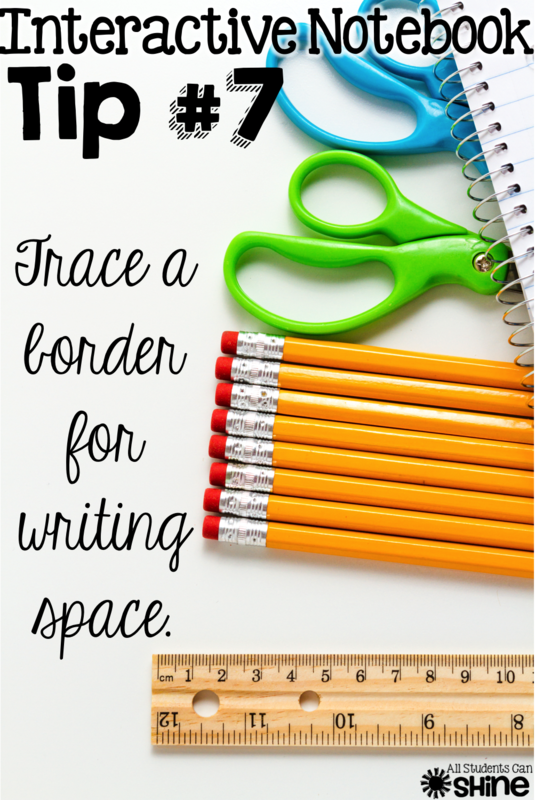 I especially love the one about tracing the shape to keep writing inside and also the build in bookmark. I will by trying both next year! Thanks! Great tips! This will be my first year to use an INB with students and really appreciate the help. Wow, wonderful tips, Valerie! I am FINALLY adventuring into the world of interactive notebooks this year! You mentioned many tips that I wouldn't have thought of! Thank you! Great ideas! Bookmarking their spot is a good idea! I especially like the pocket idea to hold unfinished pieces so I will have to try that this year. The sponge glue idea intrigues me and I'm thinking I might try that. Didn't like glue sticks - many things fall out. We used glue bottles and talked about using dots, dots and not a lot! Great tips, thank you! I am implementing these notebooks for the first time this year. Great tips. I am struggling with the amount of time it is taking for them to finish. Anymore tips for that?